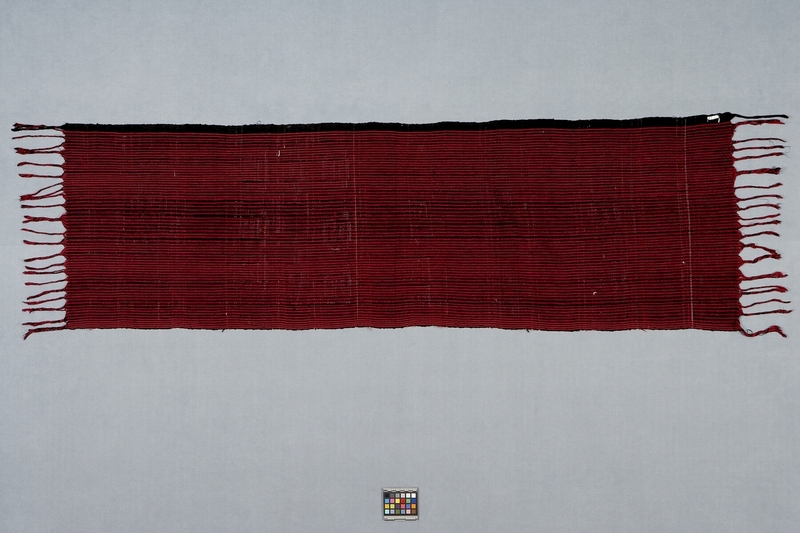 Item number K2.137 from the MOA: University of British Columbia. 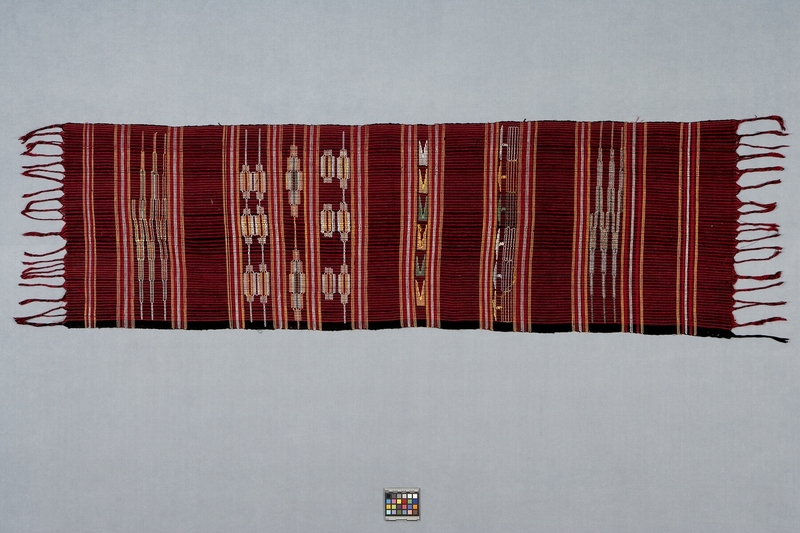 Textile with brocaded geometric designs in red, white, yellow and green on a background of alternating horizontal red and black bands. The ends are fringed.